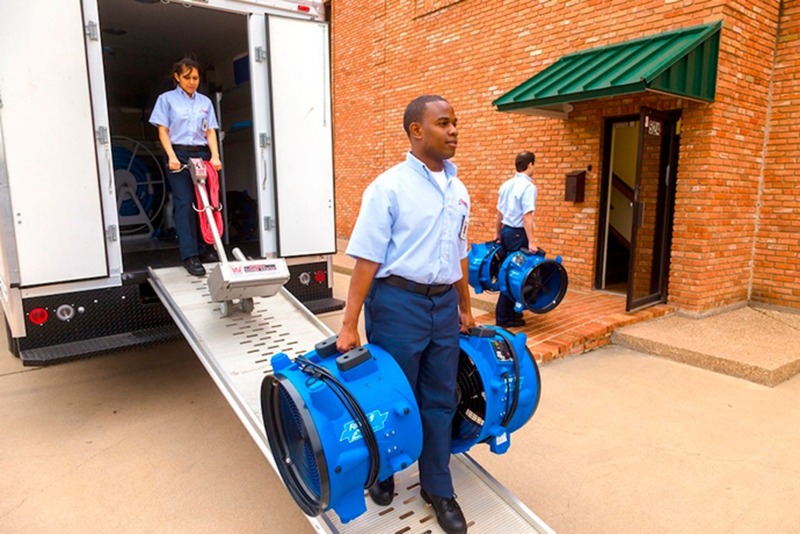 Supervise/perform the restoration of carpets, upholstery and draperies that have been damaged by water, smoke, fire, debris or other methods of damage. Supervise/perform other specialty services as required. Supervise/perform restoration services that equal or exceed company and customer quality standards. Perform marketing tasks to sell additional services or develop additional business as required. Drive a company vehicle to locations designated by customers. Load and unload equipment and supplies form the vehicle to the work site. Clear the work site by moving furniture and equipment and restore the work site to the original configuration when the job is complete. 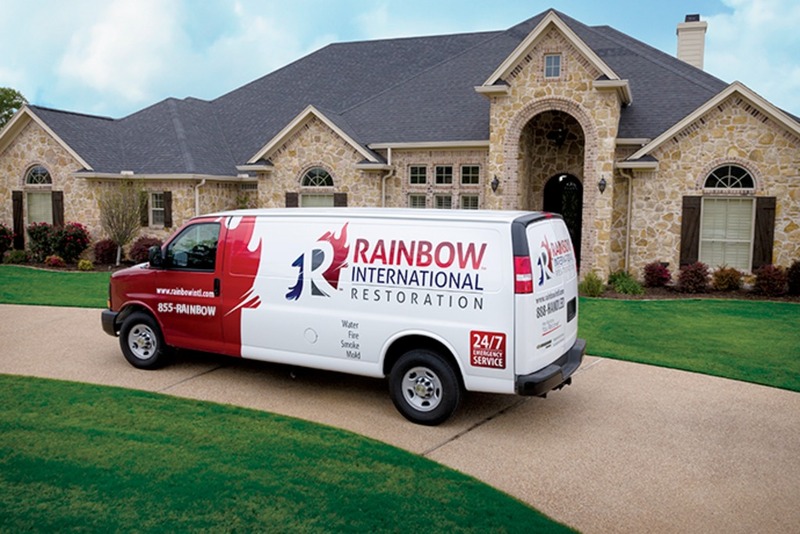 Perform restoration that involves specialized cleaning and repair of carpeting, upholstery and drapery. Clean, dry and deodorize floors ceiling and drywall. Access all areas and surfaces that need to be cleaned, dried and deodorized. Apply EPA registered and approved disinfectant as required. Perform all work to meet or exceed applicable federal, state and local regulations and company and customer quality standards. Supervise/perform regular cleaning services of carpets, upholstery and draperies on an as needed basis. Establish and maintain a service schedule to ensure all service is delivered to meet customer requirements. Follow all Environmental Protection Agency and other applicable federal, state and local regulations for disposal of waste water and chemicals. Comply with all verbal and written safety practices including the use and maintenance of personal protective equipment. Read and comprehend all applicable MSDSs for chemicals that require special handling and use of Personal Protective Equipment. Maintain all assigned vehicles and equipment to company published standards. Develop new business by calling on individuals and businesses in response to leads generated from calls made by the Customer Service Representative and referrals from customers and others. Must be computer literate and be able to use spreadsheets and word processors from standard software packages. Must be proficient in Xactimate. High school diploma or general education degree (GED) five or more years related experience and/or training; or equivalent combination of education and experience. Ability to read and interpret documents such as safety rules, operating and maintenance instructions, and procedures. Ability to write routine reports and correspondence. Ability to present information in one-on-one, as well as speak effectively before groups of customers or employees of organization. Ability to add, subtract, multiply, and divide in all units of measure, using whole numbers, common fractions, and decimals. Ability to calculate figures and amounts, such as discounts, interest, commissions, proportions, percentages, area, circumference, and volume. Ability to compute rate, ratio and to draw and interpret bar graphs. Ability to apply concepts of basic algebra and geometry. Must be knowledgeable in financial statements. Must have and maintain a valid vehicle operator’s license appropriate to the equipment operated. Must have the following certifications: WRT, ASD, FSRT and OCT. While performing the duties of this job, the employee is occasionally required to stand; walk; sit; use hands to handle or feel objects, tools, or controls; and talk or hear. The employee must occasionally lift and/or move up to 100 pounds. Specific vision abilities required by this job include close vision, distance vision, peripheral vision, depth perception, and the ability to adjust focus. While performing the duties of this job, the employee is frequently exposed to fumes or airborne particles. The employee is occasionally exposed to wet and/or humid conditions and toxic or caustic chemicals. How many years of restoration and construction experience do you have?